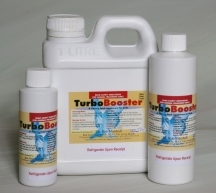 TurboBooster is a necessary part of the recovery process and is used following illness of any type. TurboBooster is a multi-purpose product TurboBooster is designed to replace soft food and soaked seed as a source of energy and protein for the feeding parents. It provides every benefit of soaked-seed but none of the potential dangers, because it is a sterile product. made soft food mix for breeding pairs. It is soon relished by the birds. They often climb the wire in anticipation of the treat as the garlic cocktail is being prepared. ePowder is added to the mix for greater energy efficiency and many fanciers add the DufoPlus, Ioford and F-Vite at the same time, giving remarkable results. It’s a simple but highly effective feeding system! TurboBooster can also be coated onto a dry seed mix for finches not eating a soft food mixture and then sprinkled with the ePowder and F-Vite. The amino acid balance and the essential fatty acids in TurboBooster are responsible for the beautiful colors and silky feather it produces within 3 weeks of use. It is also used to rejuvenate damaged tail feathers. This product contains high levels of the essential amino acids (protein) needed for the muscle development of the fledglings in the aviary. The result is vigorous flight that soon produces the heightened health seen with top fitness. TurboBooster is combined with F-Vite to produce silky feathers with color and life as good as they get. TurboBooster has high levels of the essential amino acids (protein) needed for new feather formation and contains a good mix of special oils, called fatty acids, which produce an extremely silky feather. This has meant that the oil is a favorite "secret" of the best show fanciers around the world. 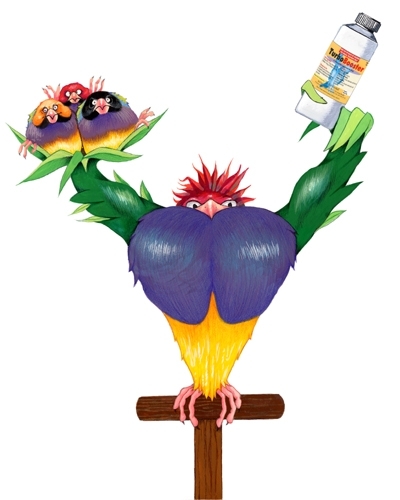 TurboBooster will bring birds into top breeding and show condition TurboBooster invigorates healthy birds into peak condition and is used on soft foods prior to breeding and the show to great effect. It is also used as a post illness invigorator. TurboBooster is used prior to showing to get the very best feather TurboBooster is given together with F-Vite each day for three weeks prior to the show to give a silky sheen, porcelain like tightness and a deep rich color to the plumage. TurboBooster produces robust babies, more akin to the wild bird model TurboBooster, being a very high source of energy and the breeding amino acids, is used in combination with ePowder to produces fast growing, robust and healthy babies. This clever combination enables the feeding parents to maintain their body condition and vitality for a full three rounds of babies. 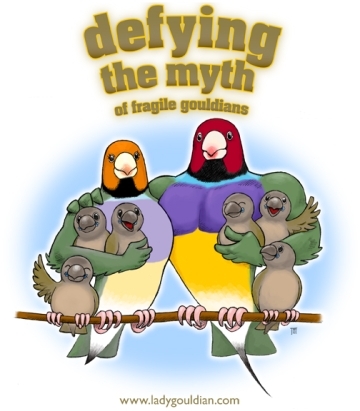 The time of weaning and until the body molt is complete is an extremely difficult time for the health of young birds. It is during this time that most fanciers place them into a holding cage and make every effort to maintain health during this difficult time. Youngsters reared on TurboBooster readily accept its taste, providing them with immediate health protection. The soaked seed recipe # 2, is a proven juvenile cage success.